"In New York City, where it is the custom for ladies to remain at home to receive the calls of their gentlemen friends, there is not time nor occasion for dinners; should it be desirable, it would be similar to that for Christmas, or instead--a cold roasted turkey, (bone it if you can) cold boiled ham or tongue, a large glass salad-bowl of pickled oysters, or an oyster pie with dressed celery or a chicken salad, with jelly puffs & tarts & small mince pies, blancmange, de russe & jellies & ice cream & fancy cakes, with syrup water & orgeat or lemonade for temperance, or wines & punch. The manner of celebrating New Year's day by calls, is a peculiarity of our own, & having so few which are 'native here,' many of our wisest & best, have wished that this might in no wise be slighted. Many a feud-divided family have been united, & misunderstanding friends been brought together, under the all-pervading hospitality & genial influence which distinguishes the day." 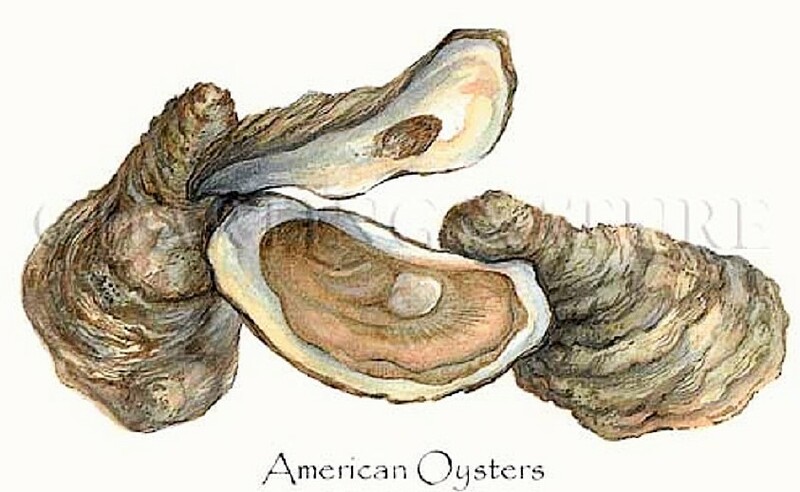 "New Year's Dinners.--Raw oysters; mock tutle soup; boiled turkey with oyster sauce; roast haunch of venison; currant jelly; devilied crabs; potato souffle, baked turnips, stuffed cabbage, beets, lima beans, dried corn, & canned pease; biscuit, French rolls, rye & Indian bread; chicken salad, cold sliced ham; celery, cold slaw garnished with fried oysters, pickled walnuts, variety pickles; sweet pickled cucumbers, peaches, & plums, spiced currants & gooseberries canned pears or strawberries; English plum pudding; chess pie, potato pie, mince pie; orange souffle, pyramid pound cake, black cake, Phil Sheridan cake; Bohemian cream; oranges, raisins, figs, nuts; tea, coffeee, chocolate. New Year's Table.--When receiving calls on New Years' Day, the table should be handsomely arranged & decorated, & provided with rather substantial dishes, such as would suit the taste of gentlemen. Too great profusion, especially of cakes, confectonery, & ices, is out of taste. Selections may be made from the following: Escaloped oysters; cold tongue, turkey, chicken, & ham, pressed meats, boned turkey, jellied chicken; salads, cold slaw garnished with fried oysters; bottled pickles, French or Spanish pickles; jellies; charlotte-russe, ice-creams, ices; two large handsome cakes for decoration of table, & one or two baskets of miced cake, fruit, layer, & sponge cake predonimating; fruits; nuts; coffee, chocolate with whipped cream, lemonade." "A general & cordial reception of gentlemen guests upon the first day of the year, by the ladies of almost every household, also by clergymen, & by gentlemen upon the first New-Year's Day after marriage, is a Knickerbocker custom which prevailed in New York, with scarce any innovations, until within the last ten years. It was once a day when all gentlemen offered congratulations to each of their lady acquaintences, & even employes of a gentleman were permitted to pay their respects, & to eat & drink with the ladies of the household. Hospitalities were then lavishly offered & as lavishly received. This custom began when the city was small, but it has now quite outgrown those possibilities which the original usages of the day could compass without difficulty. Beside, there came a time when this excessive social freedom was proportionate to our over-large liberties, therefore, our hospitalities were narrowed down to a lady's own circle of acquaintences. Even this boundary in many instances widened to so extended a circumference that not a few of our kindliest & most hospitable of ladies have been compelled either to close their doors upon this day of hand-shaking, eating, & drinking, or else to issue cards of welcome to as many of their gentlemen acquaintences as they can entertain in a single day. Not many ladies in New York are, however, placed upon such heights of popularity as to make this limitation a genuine necessity, & others may choose to receive congratulations upon New-Year's-Day only from relatives & intimate friends...ladies who recieve in a general way whoever choose to call upon them are now almost certain that the old-time crowds which thronged all open doors a decade ago will no longer intrude upon those from who they are uncertain even of a recognition...to be considered a man of to-day, he must be well-bred & unobtrusive, even during this gala season... Those who entertain elaborately upon New-Year's-Day sometimes send out cards of invitation...They are handsomely engraved... Many gentlemen, even among those who take wine ordinarily, refuse it upon this day, because they do not like to accept it at the hand of one lady & refuse it from that of another. Again, many ladies, from whose daily tables the glitter of wine-glasses is never absent, do not supply this drink to their guests upon this day, because it is dangerous for their acquaintences to partake of varied vintages, the more specially while passing in & out of over-heated drawing rooms. Delicacies, coffee, chocolate, tea, & bouillon, are supplied in their places, whether the wines be withheld by kindly considerateness, or through conscientious scruples." "When refreshments are provided for callers on this day, the tastes of gentlemen only are to be consulted, & it is understood that they prefer rather substantial dishes. Handsome decorations for the table are desirable. Hot coffee is a prime requisite. Sandwiches, salads, pickles, jellies, & three or four kinds of cold meats may be provided. 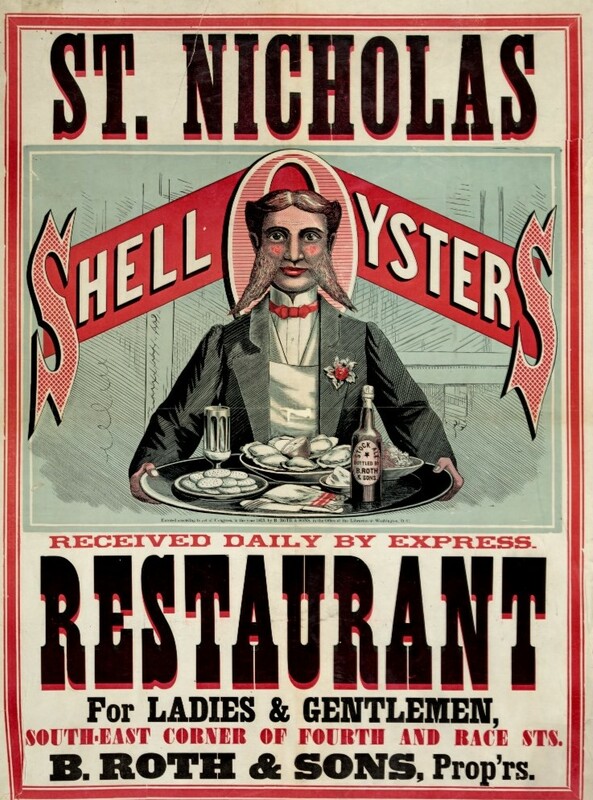 Escaloped oysters are relishable. Two or three ornamented cakes for decoration, & one or two baskets of mixed cake, will be needed, & such fresh fruits as can be obtained, including bananas, oranges, & white grapes. Wine is no longer found upon the New Year's table in this latitude." "Dinner: Mock Turtle Soup, Panned Guinea Fowls, Broiled Bacon, Potato Puff, Stewed Tomatoes, Corn, Mayonnaise of Celery, Wafers, Cheese, Marlborough Pudding Coffee." "Menu for New Year's Day. Breakfast. Milk porridge, Hominy & meat croquettes, Apple johnnycake, Apricot & fig sauce, Coffee. Dinner. Clear soup, Bread sticks, Stuffed whitefish-creamed oyster sauce, Roast venison, Currant jelly sauce, Ringed potatoes, Onion ormoloe, Walnut & watercress salad, French dressing, Cheese 'fingers,' Celery, Timbales with preserved strawberries, Hot clear sauce, Ice pudding, Glace chestnuts, Pralines, Raisins or dates (creamed), Coffee. Late Luncheon; Sliced venison with mustard, Bread ad butter, Sponge cake, Oranges, Tea." Oysters on Half Shell, Crean of Tapioca, Pontange Patties, Celery, Olives, Radishes, Smelts Sauteed in Brown Butter, Cucumber Salad, Lamb Chops in Papers, New Spinach, Potato Rissoles, Roast Turkey Stuffed with Chestnuts, Romaine Salad, Mince Pie, Brown Bread, Ice Cream, Coffee. Mock Turtle Soup, Boiled Striped Bass, Hollandaise Sauce, Cucumbers, Saddle of Venison, Port Wine Sauce, Currant Jelly, Braised Celery, Sweetbreads, Mushroom Sauce, Roast Turkey Stuffed, Cranberry Sauce, Mashed Potaotes, Boiled Onions, Turnips, Beets, Squash, Pumpkin Pie, Mince Pie,, Plum Pudding, Cake, Sage cheeses, Coffee."